At The Orthopedic Clinic, we give our patients the ability to live their life in full motion. We approach fracture care with this mindset, customizing our treatment plan for you. Why? Because we believe this is how to provide the best care possible. That’s what you deserve. 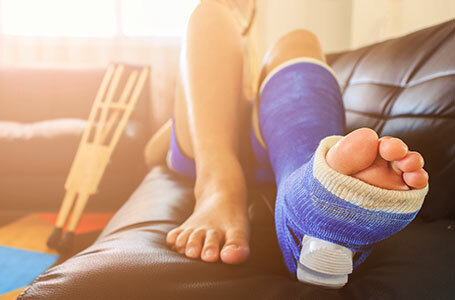 What Is a Fracture and How Is It Treated? A fracture is more commonly known as a broken bone. It occurs when the bone changes shape and breaks due to high force or impact on the bone. Most fractures are usually followed by pain, swelling, tenderness, bruising, and even deformity. There are three million fractures in the United States every year. They have several causes. Many are caused by trauma, such as a sports injury, a car accident, or a fall; while others are caused by an underlying disease, also known as a pathologic cause, such as osteoporosis or cancer. We use casts to hold a broken bone in place so it can heal. 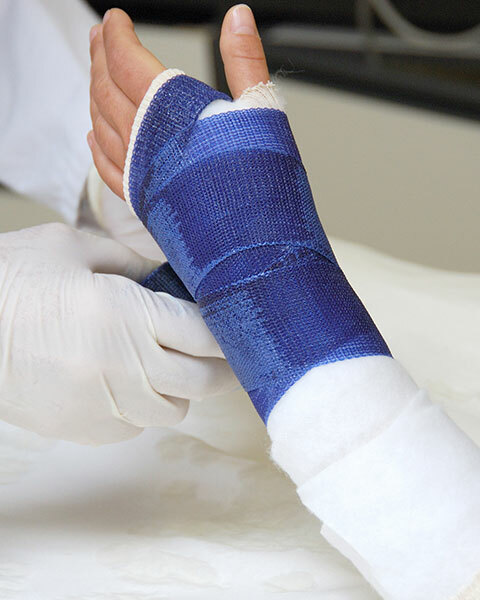 Casts immobilize the joint above and the joint below the fracture that needs to heal. We use functional casts or braces to heal fractures while also allowing controlled movement of the nearby joints. Traction straightens broken bones by pulling very gently and slowly on them. External fixation refers to the practice of placing screws or metal pins above and below the fracture on the outside of the body to stabilize the bone while it heals. Open reduction internal fixation is a surgical operation that involves placing orthopedic implants to guide the healing process of the broken bone on the inside of the body. Are You Worried You May Have Broken a Bone? We’re here to help! Contact our team of fracture specialists today to learn more about how we can help you heal and get you back to living life in full motion.